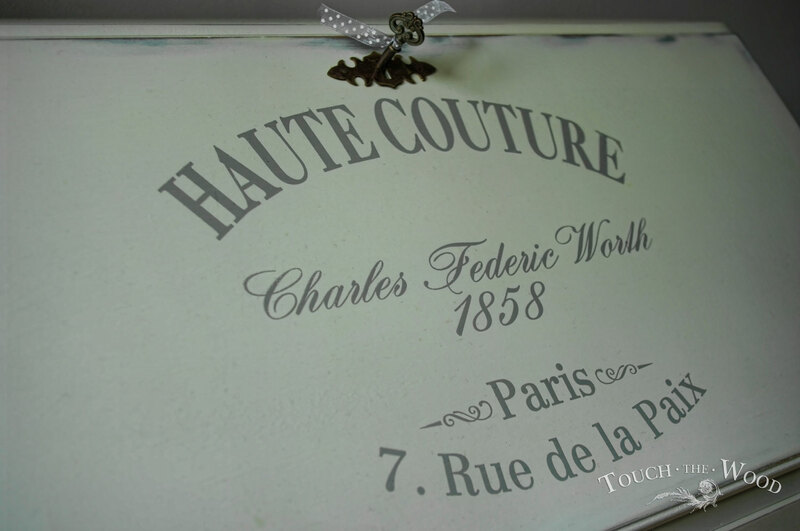 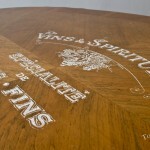 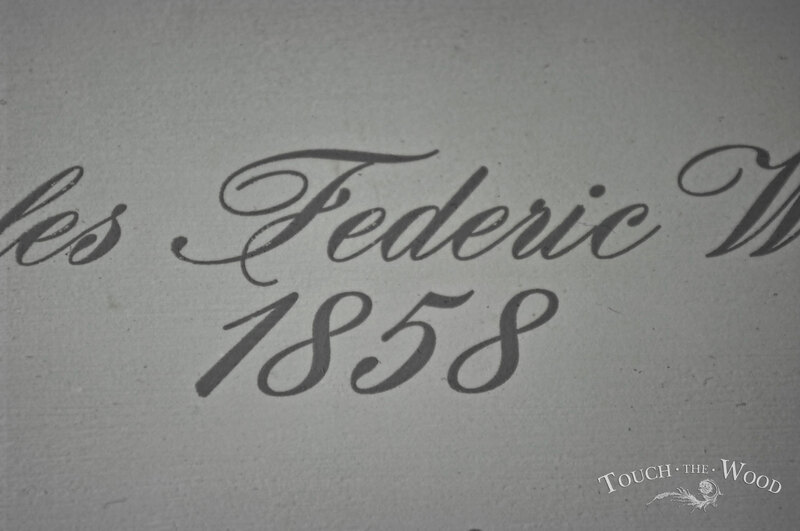 Our classic Shabby Chic Nest of Tables with French advert Graphic Transfer. 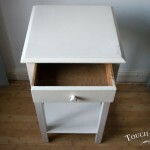 It has taken a loooooot of time to finish this one. 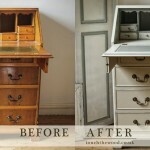 We managed to makeover five other bureaus before we put our hands on this one. 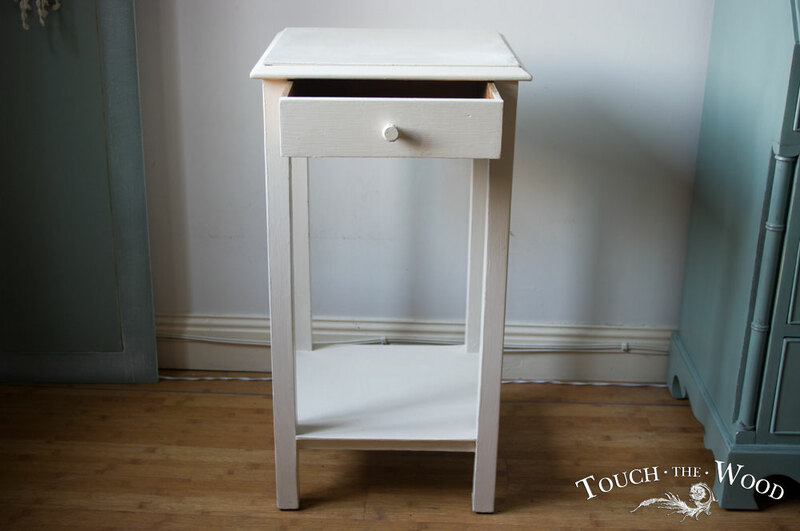 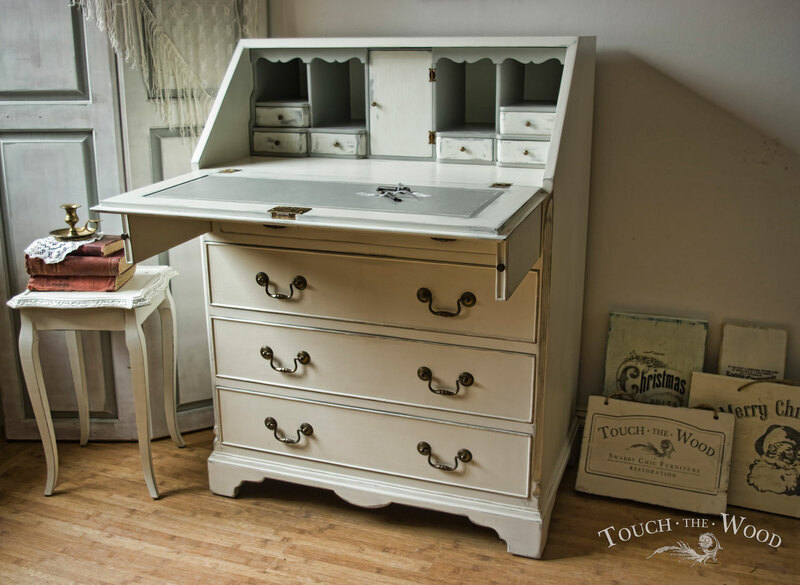 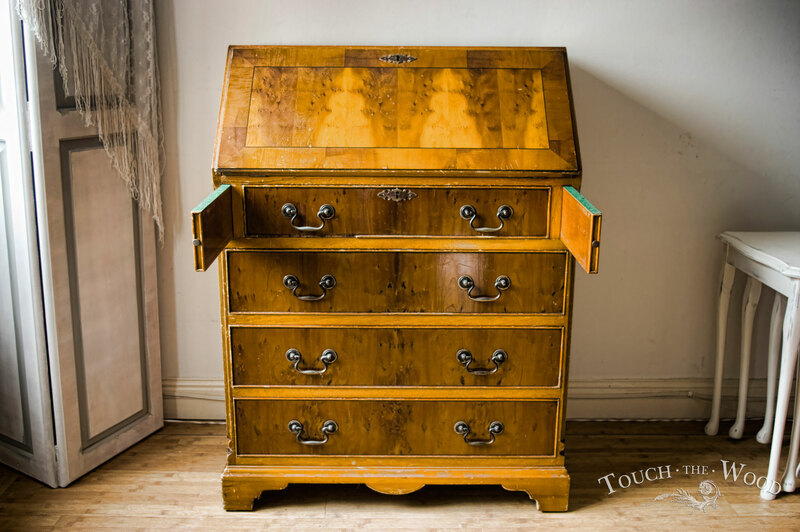 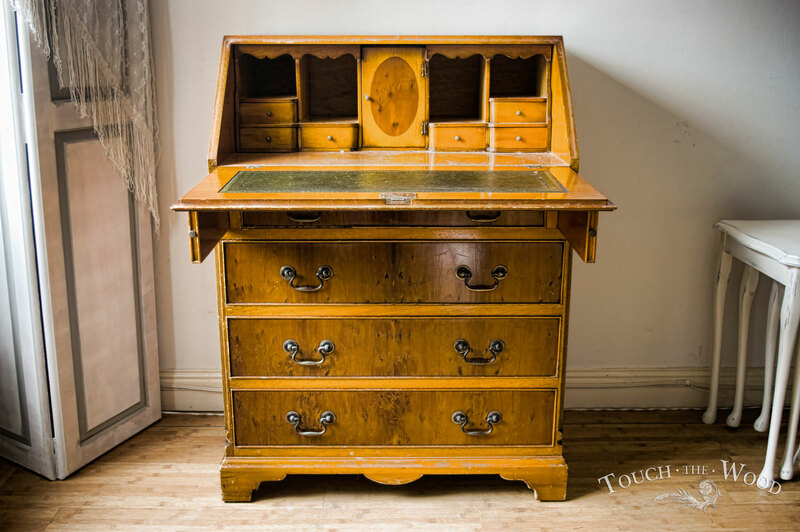 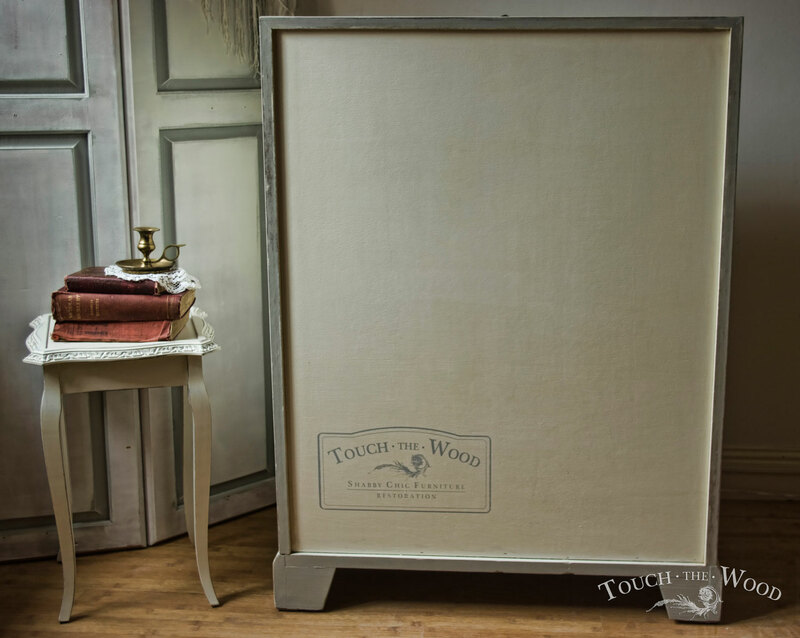 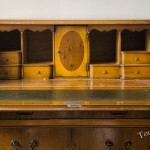 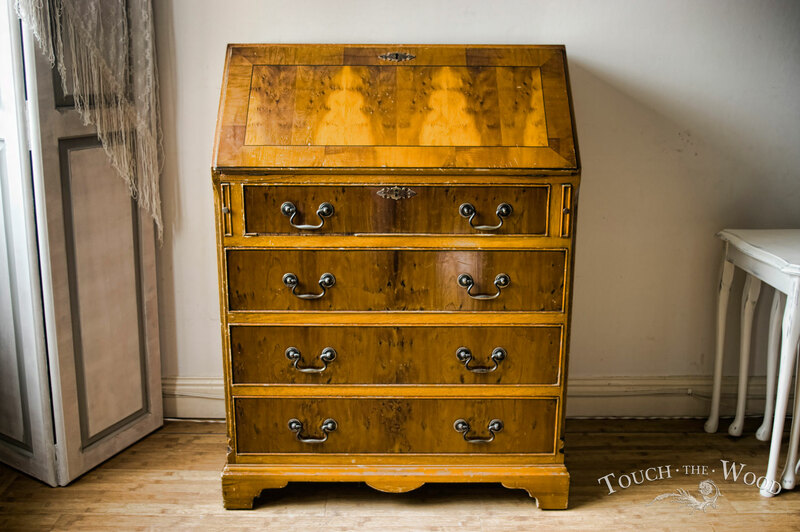 This Shabby Chic Writing Desk has been turned into the posh and elegant kind of style you can match with discreet reception of some old prestigious hotel. 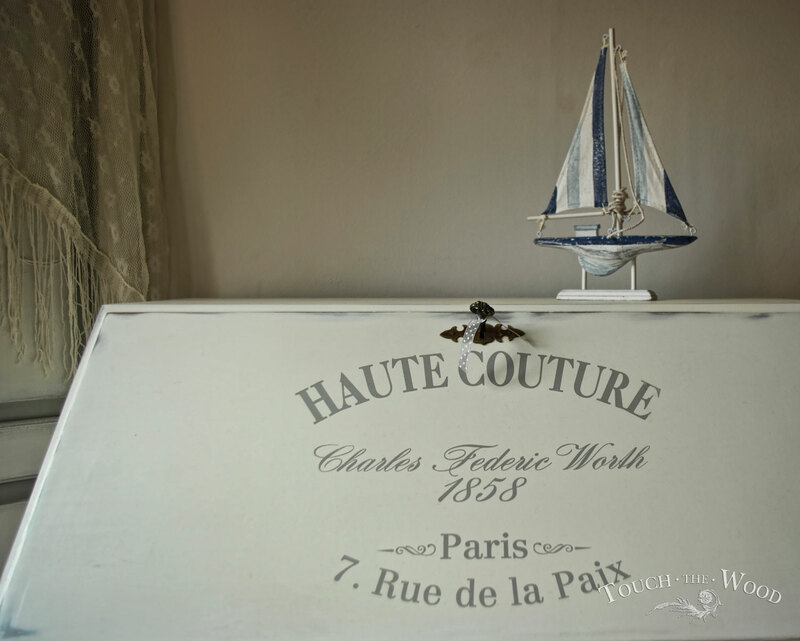 Name it Hotel Papillon. 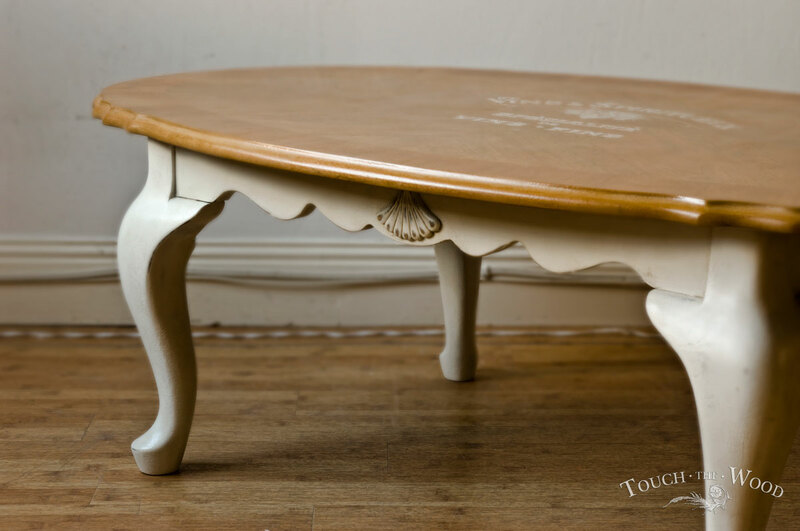 Recently we bumped into two cute coffee tables, we couldn’t miss opportunity to makeover them in a Shabby Chic style. 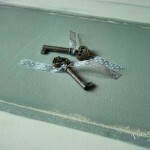 Here you have first of them. 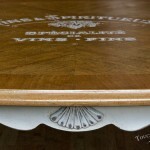 Let me call this one the most sophisticated we made so far. 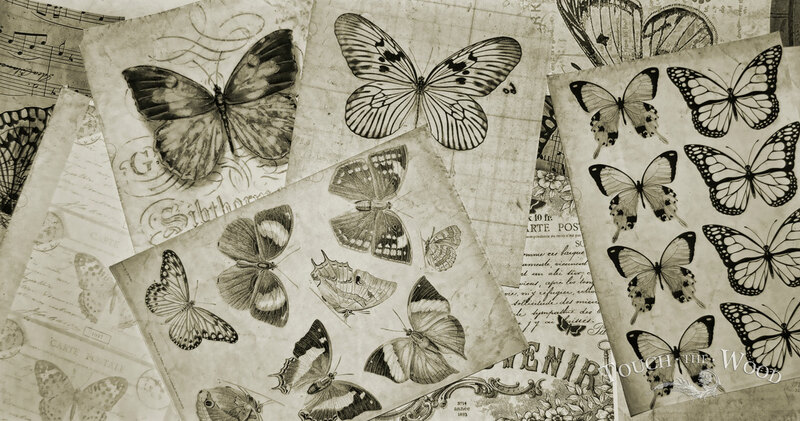 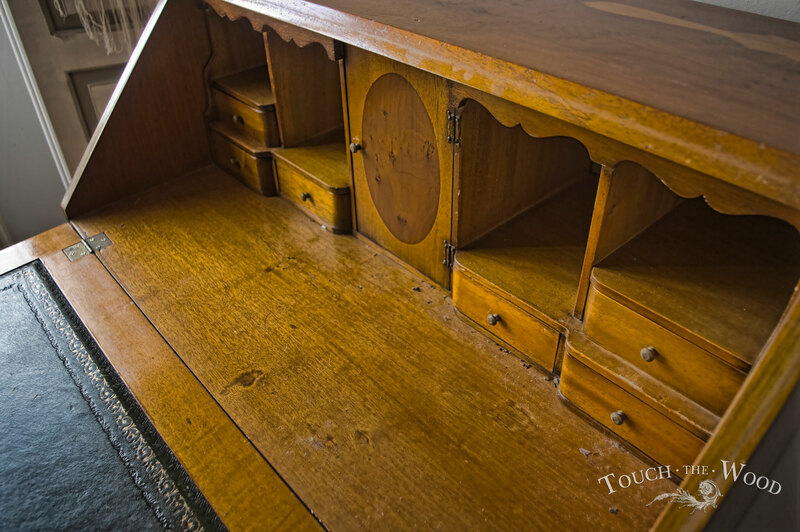 Came to us in miserable condition, and leaves us as beautiful as the bureau can be. 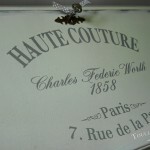 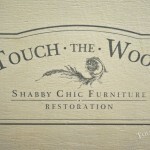 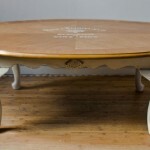 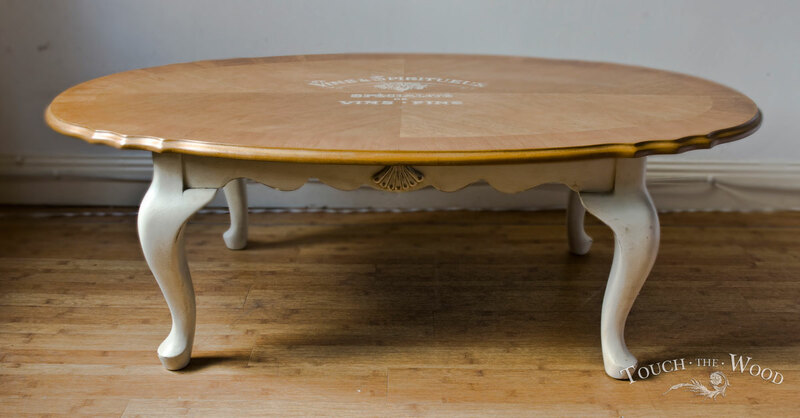 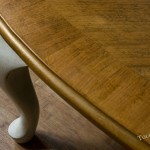 Let me introduce you another piece salved from destruction – a Shabby Chic Oval Table. 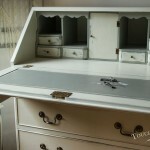 Quite short, however with large top. 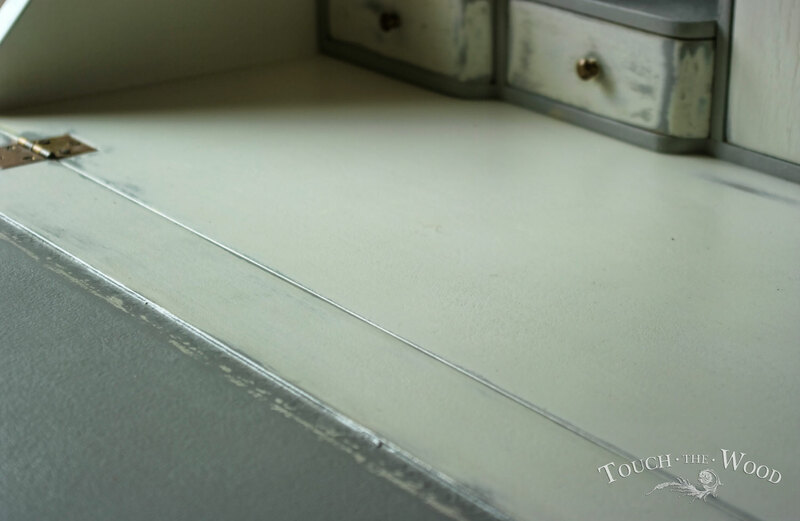 This time we decided to leave the top surface visible. 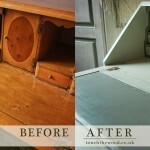 After complete removal of old varnish, just two layers of natural oak wood stain revealed beauty of veneer. 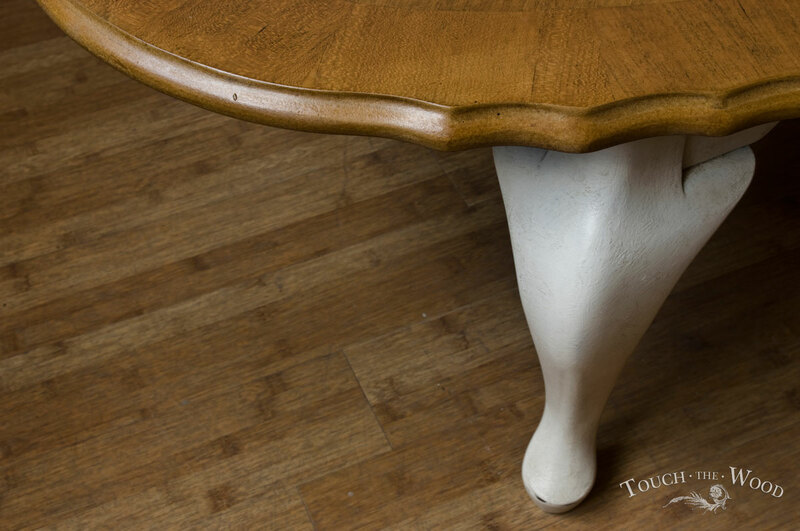 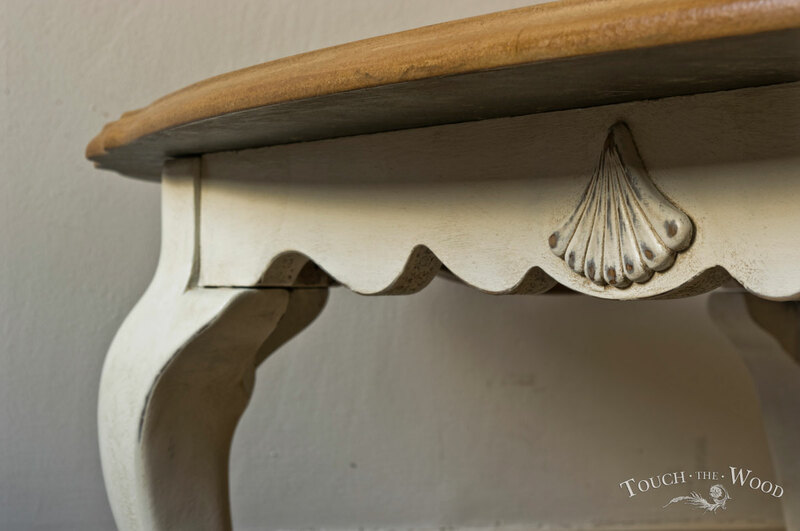 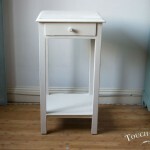 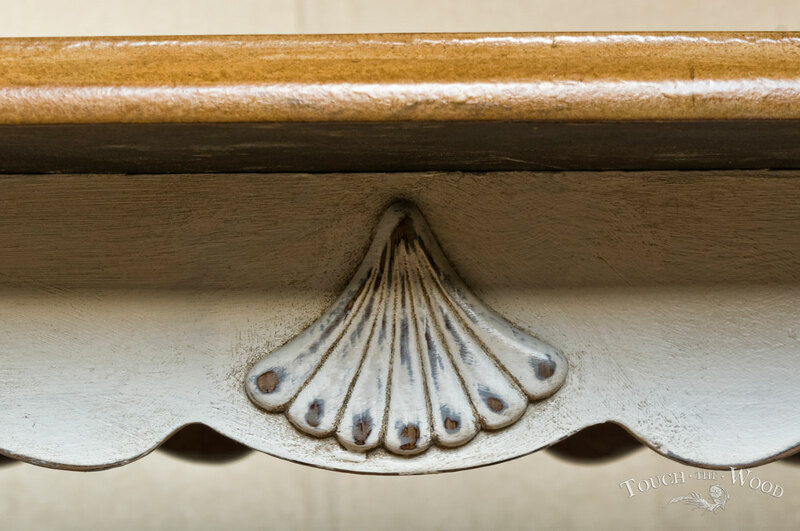 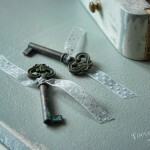 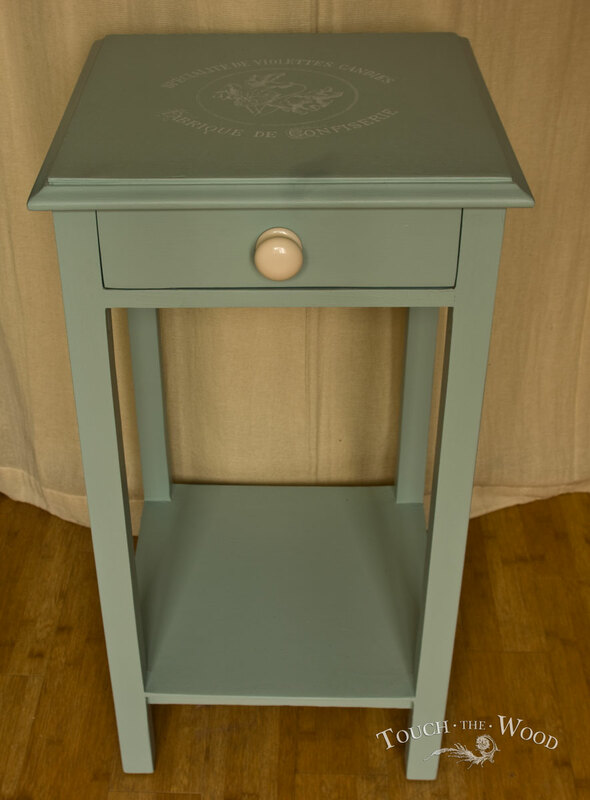 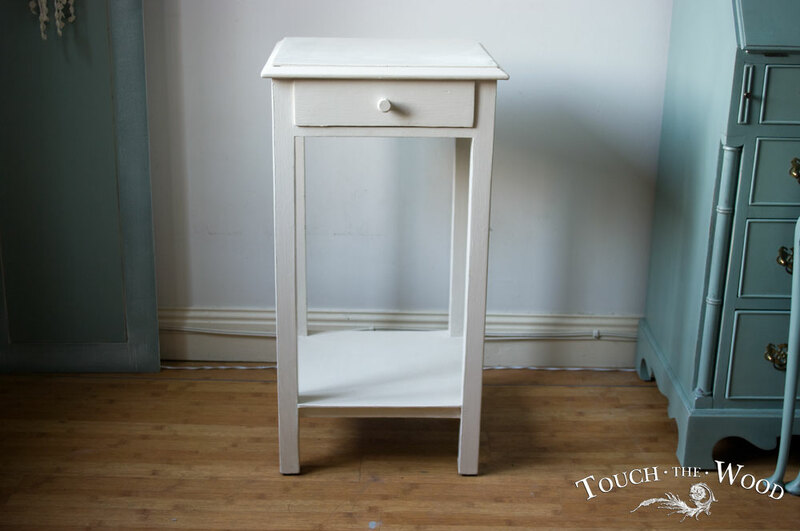 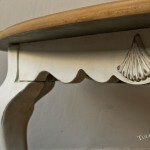 This contrasts in a marvellous way with the bottom part and legs painted with Annie Sloan’s ‘Old White’. 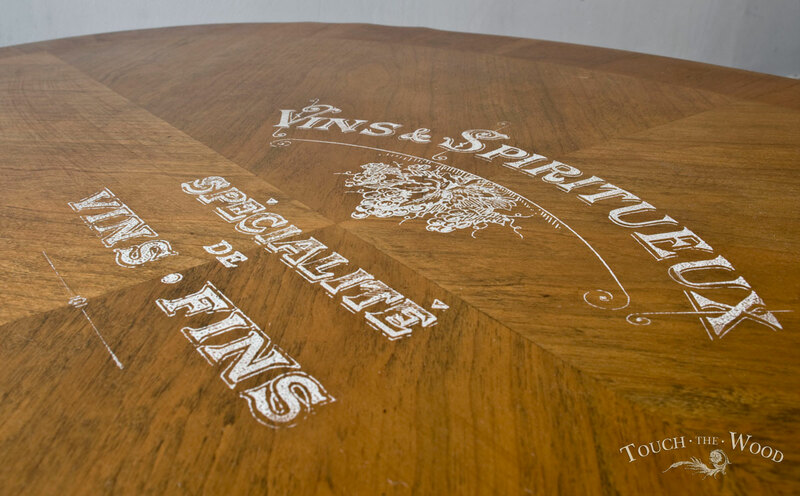 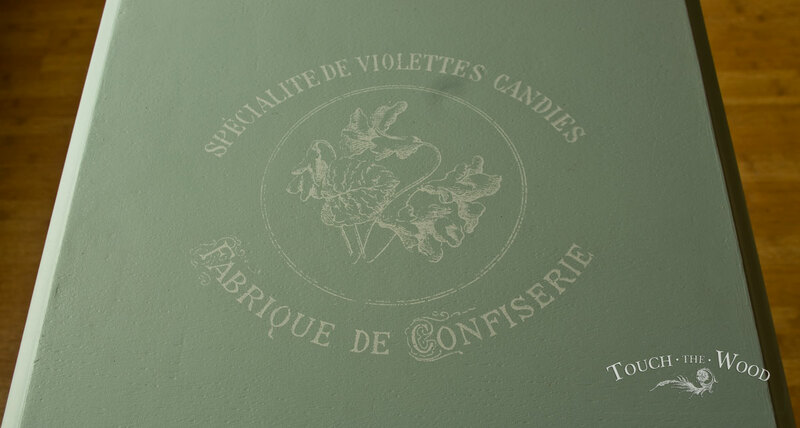 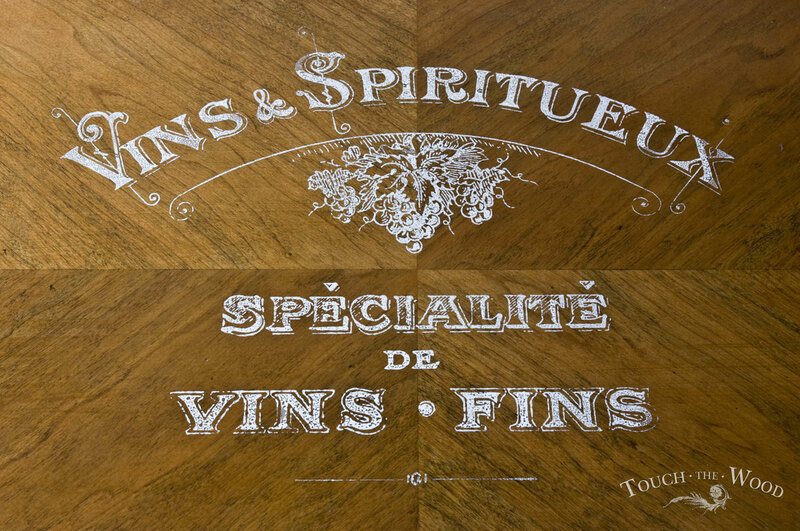 To make this work complete, we printed old white Vintage French Advert (Vins & Spiritueux), by courtesy of Graphics Fairy. 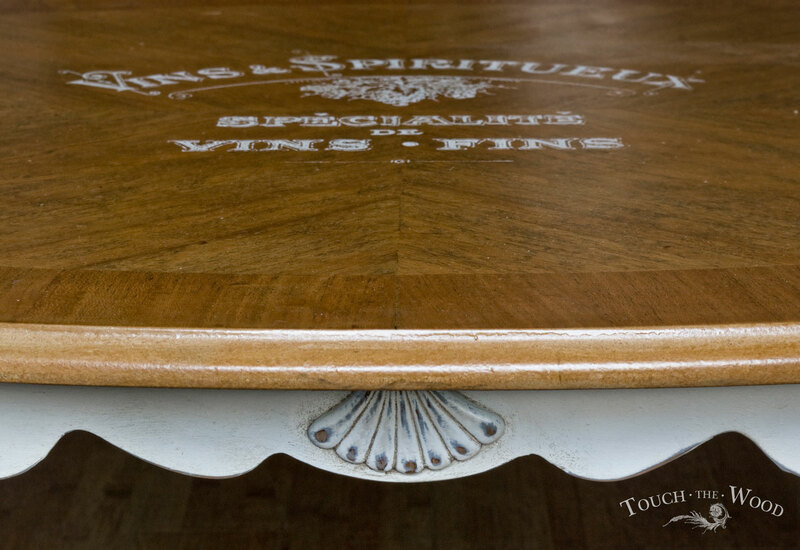 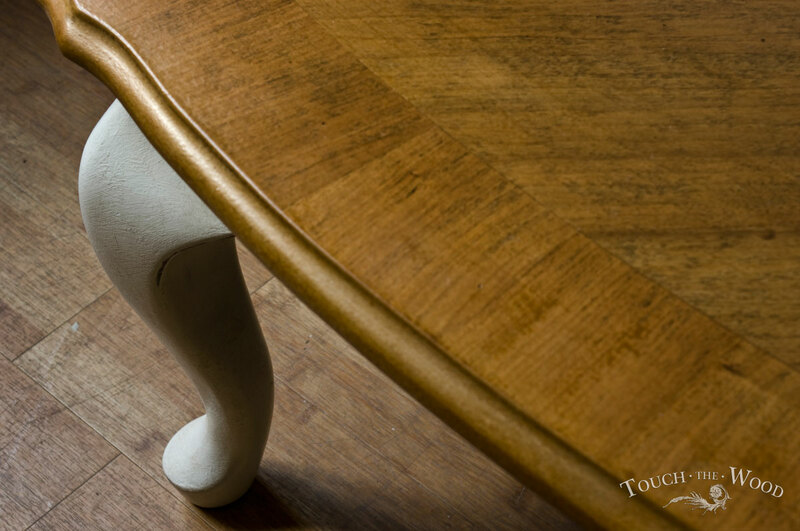 The top is finished with durable polyurethane varnish, all spilled coffee will be easily wiped with damp cloth. 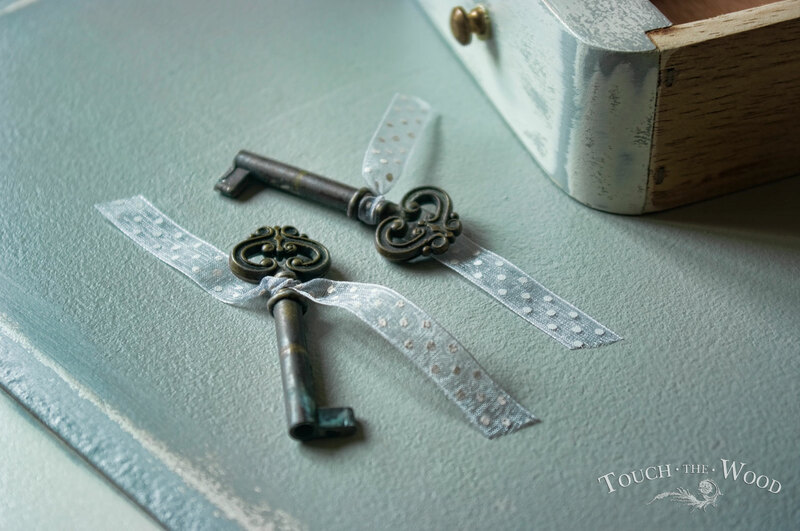 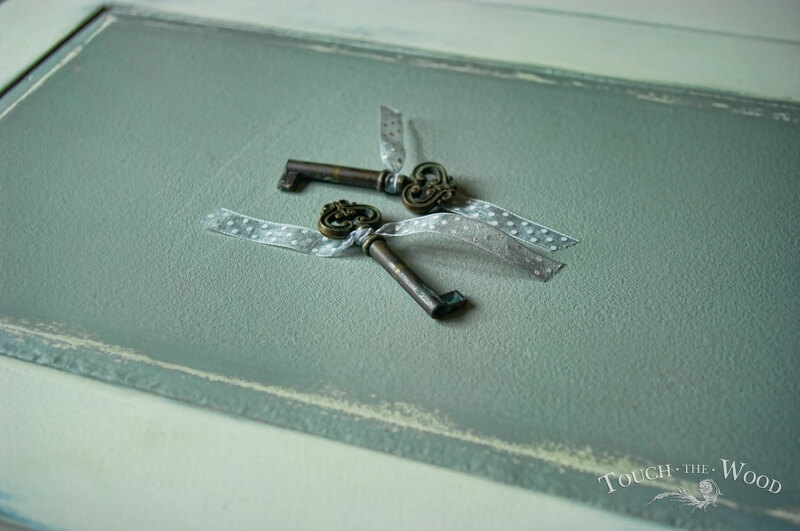 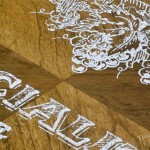 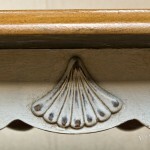 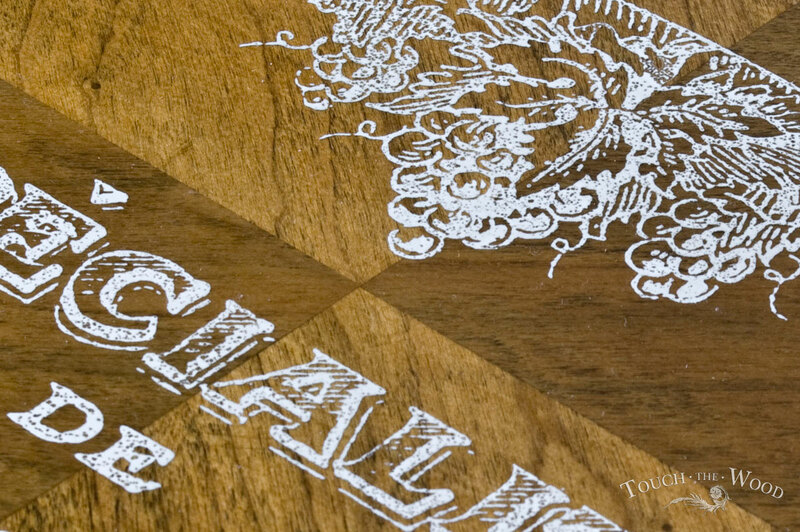 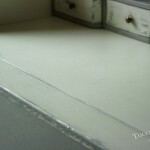 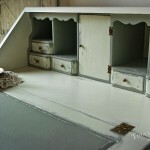 The bottom part is covered with two layers of Annie Sloan’s Waxes – clear and dark. 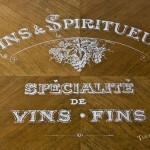 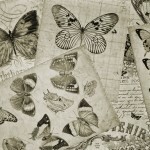 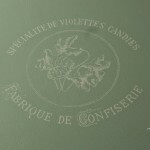 For printing we have used vintage French advert, by courtesy of thegraphicsfairy.com. 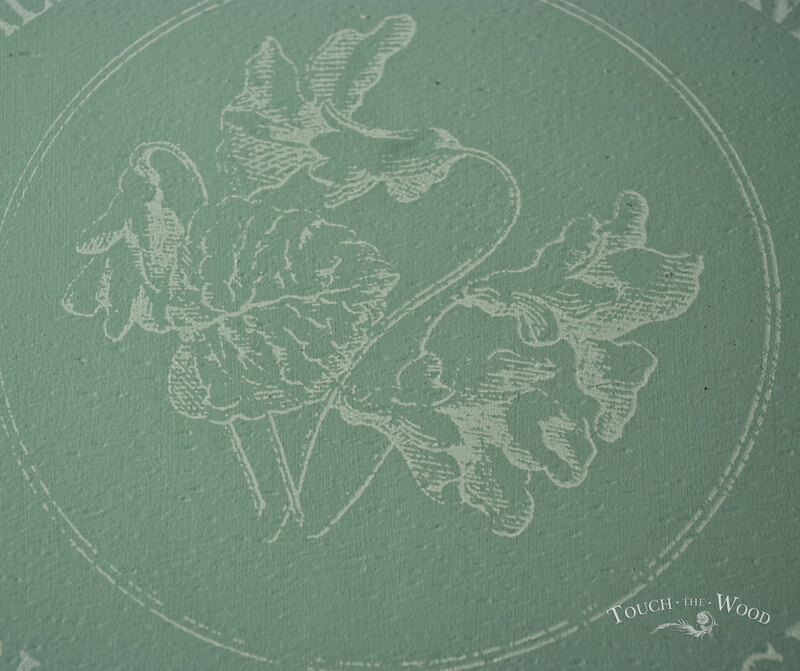 The technique we used this time is a screen printing. 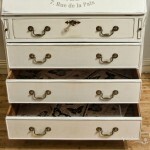 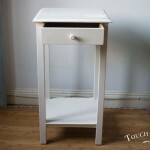 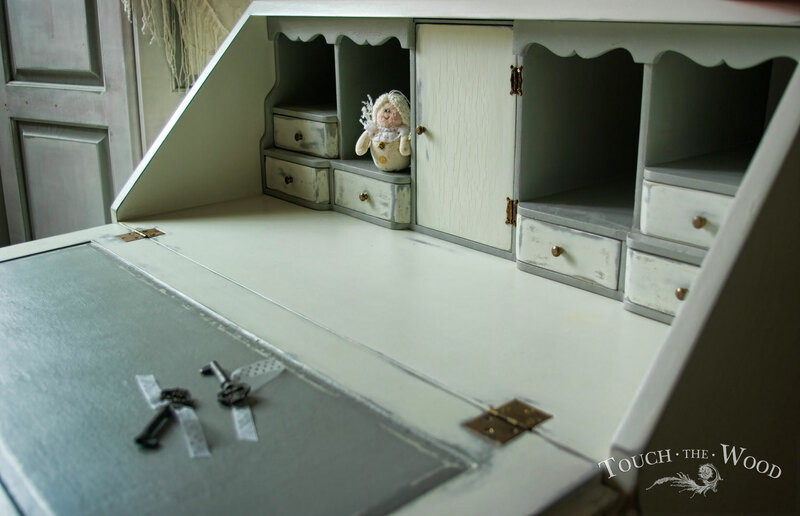 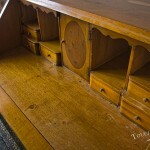 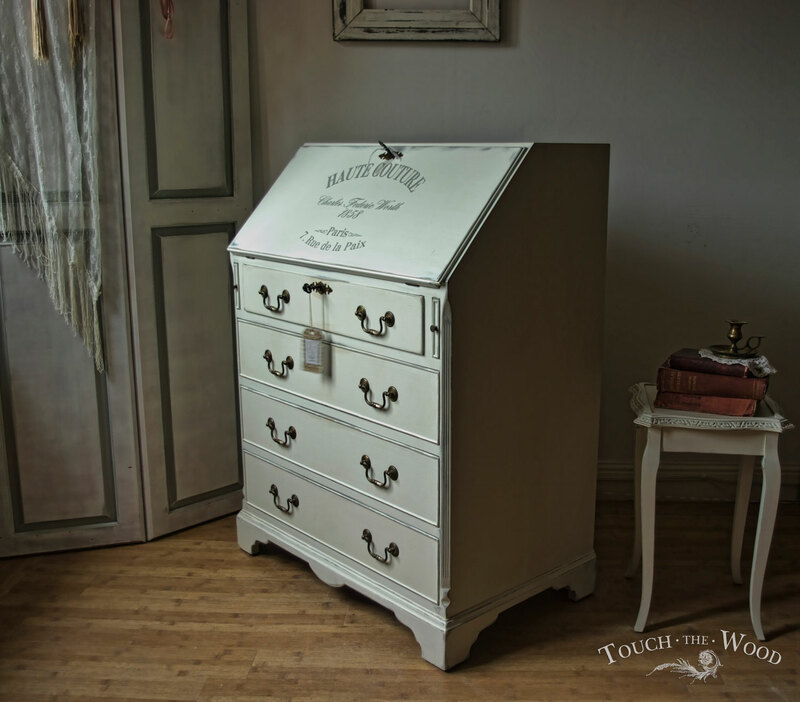 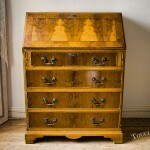 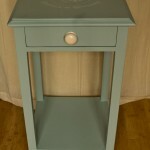 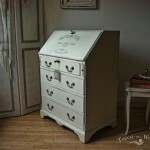 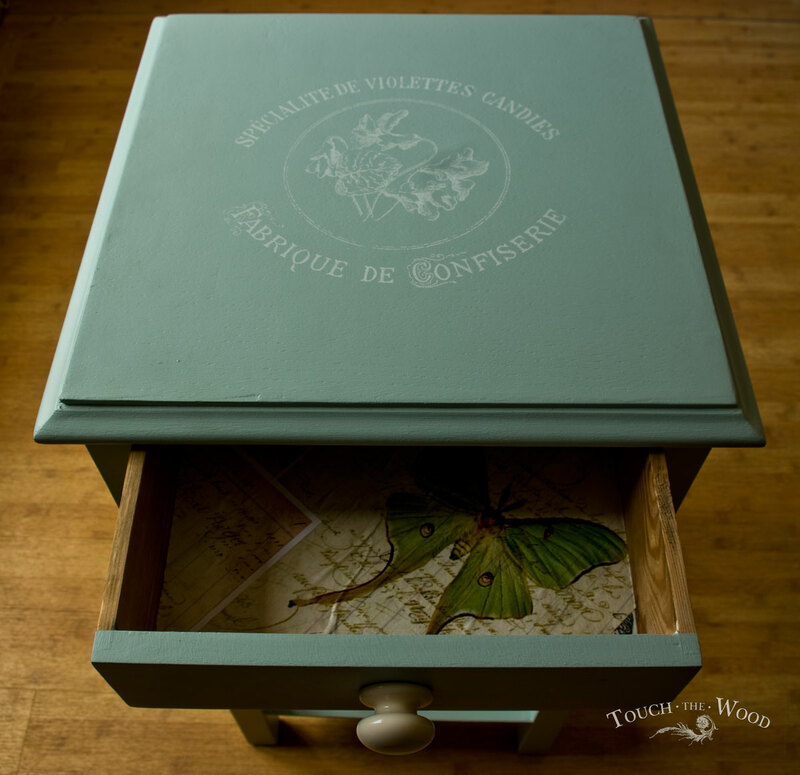 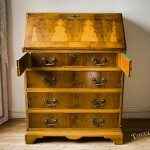 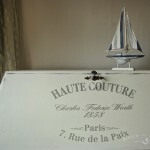 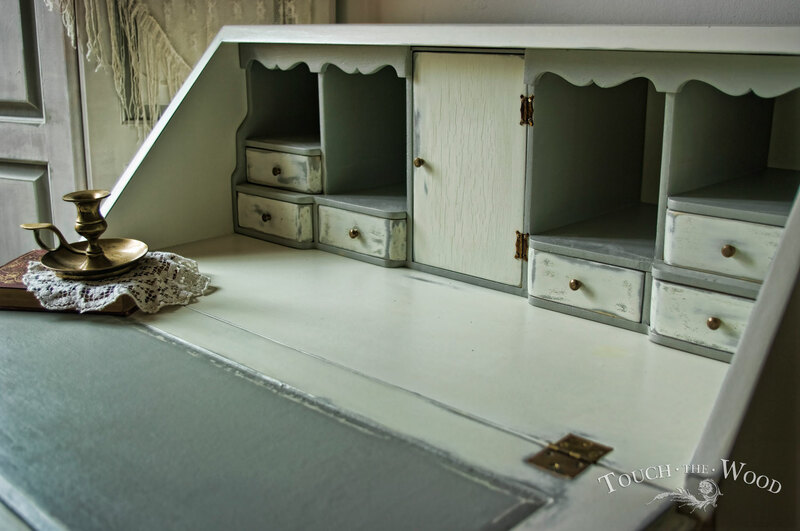 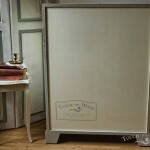 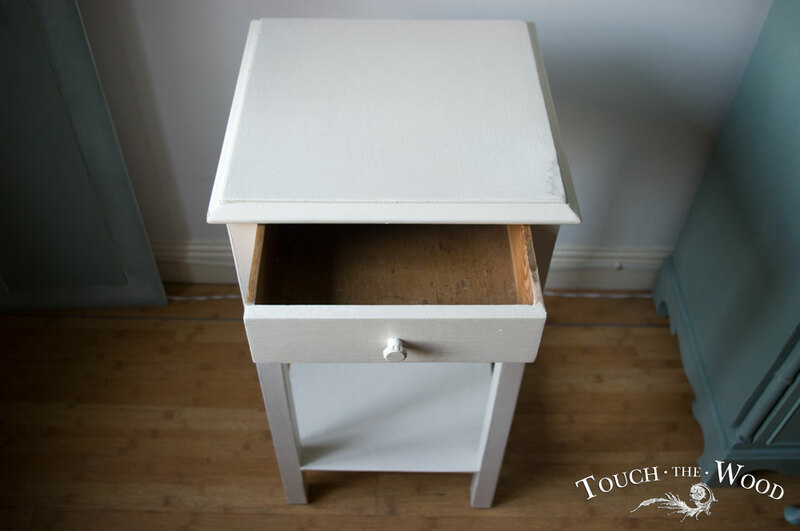 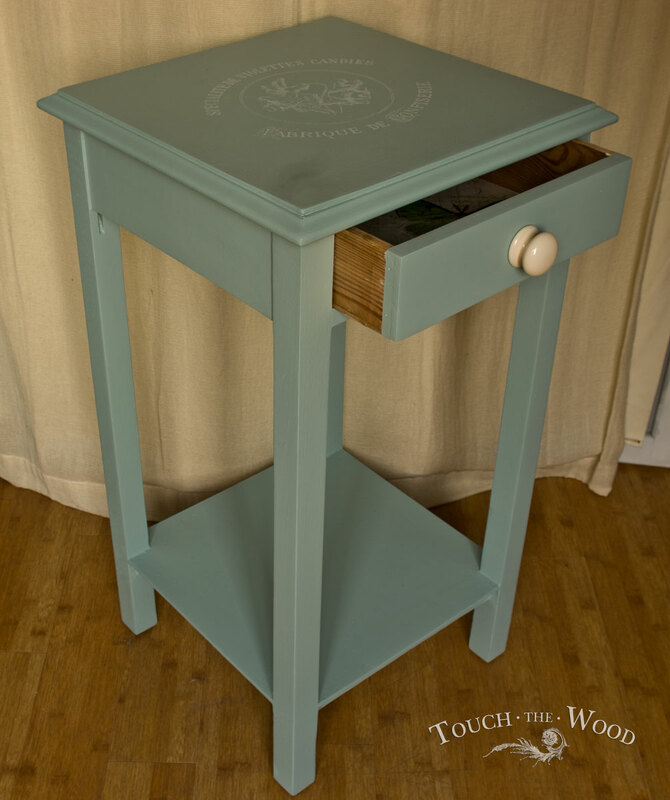 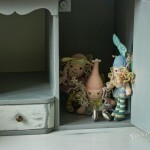 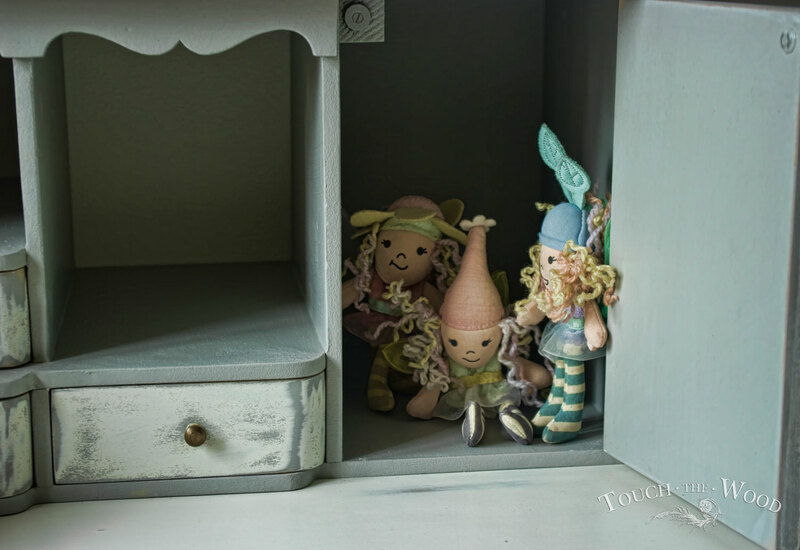 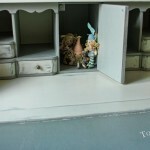 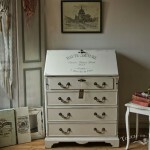 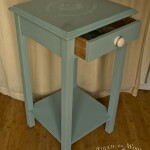 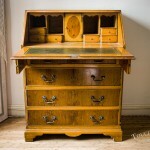 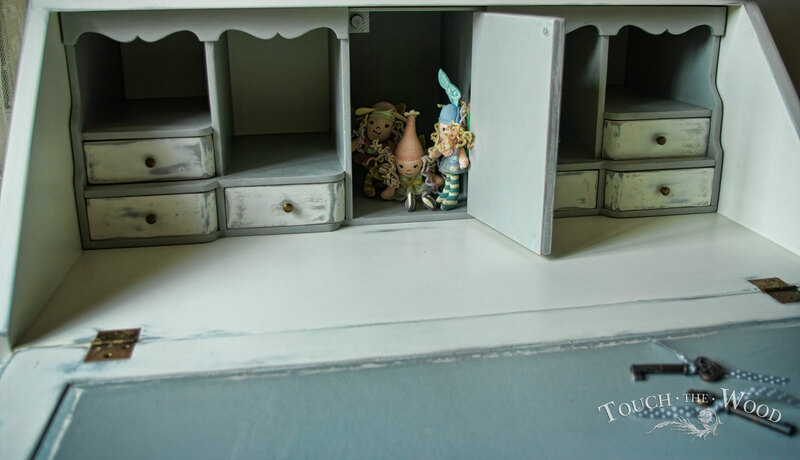 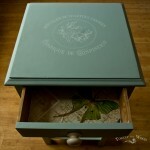 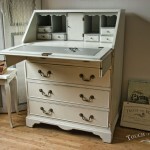 What you can see in here is a Vintage Shabby Chic Bureau we made entirely to order. 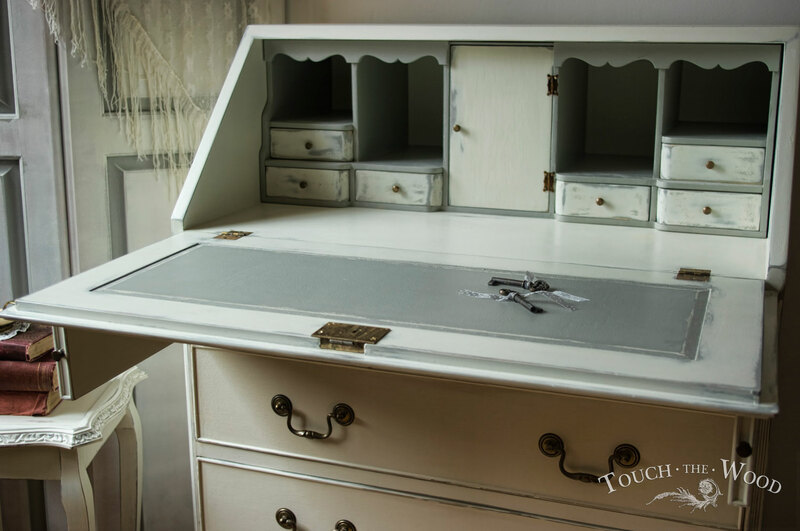 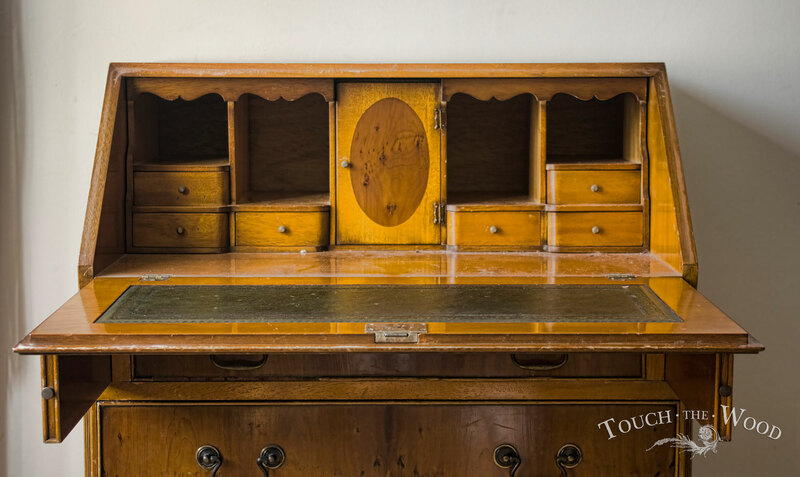 Our customer has chosen a ‘raw’ vintage bureau from our Waiting Room, and we were happy to renovate it accordingly to her wishes. 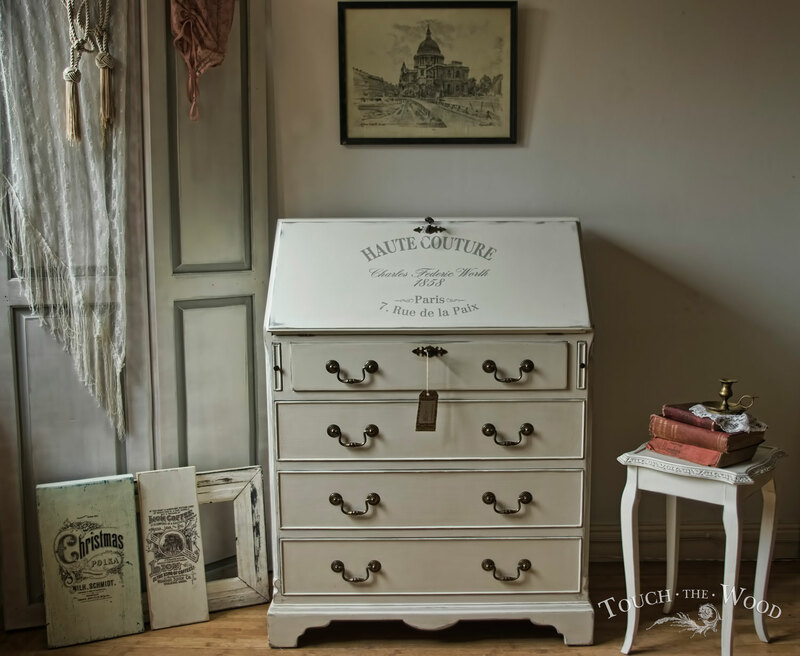 On the top we have printed a Vintage French Advert. 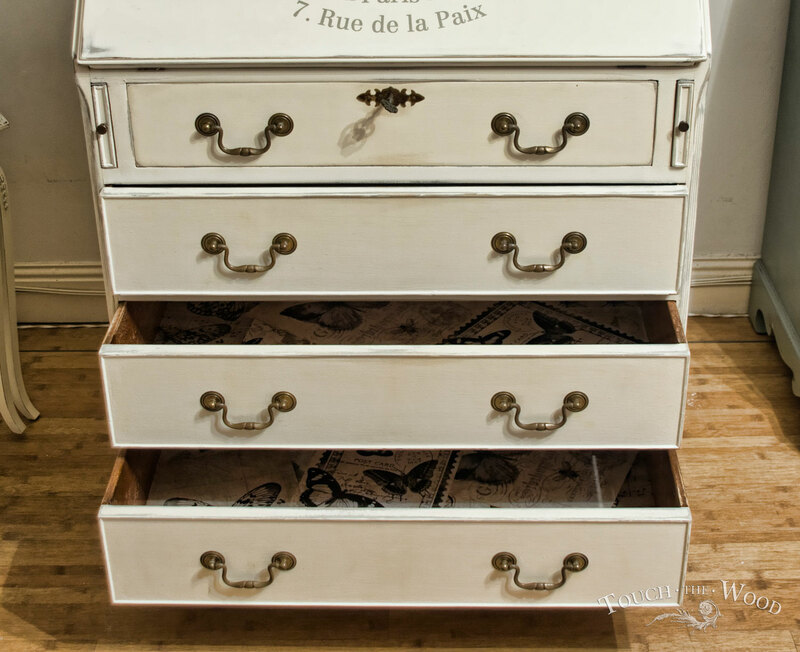 I would love to add ‘Original’ with this description, but I cannot. 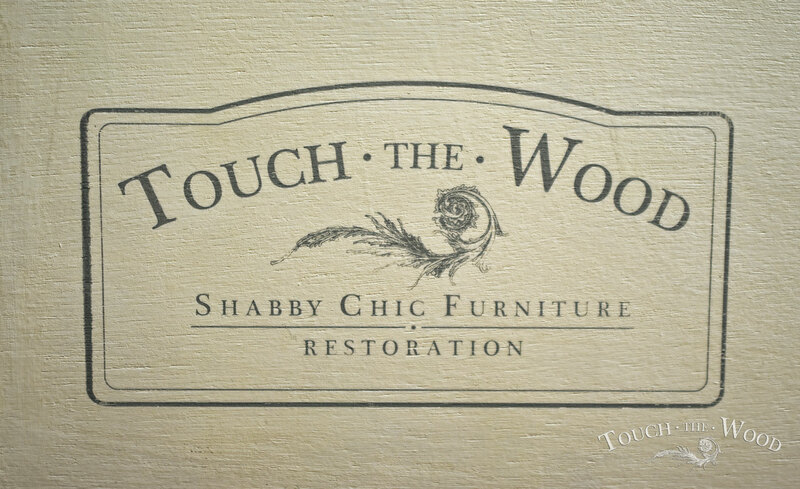 Design was made by us and inspiration taken from the Internet. 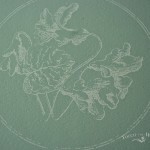 The technique we used is our favourite screen printing. 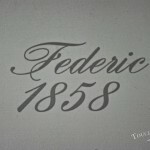 Are we or are we not getting better in it? 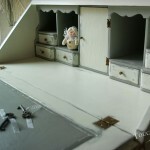 Just have a look at the pictures.